The award-winning Music Man Project UK has broken the Guinness World Record for the largest ever triangle ensemble. Run by charity Southend Mencap, the acclaimed music education service for children and adults with learning disabilities achieved 1521 players, smashing the previous record of 876. 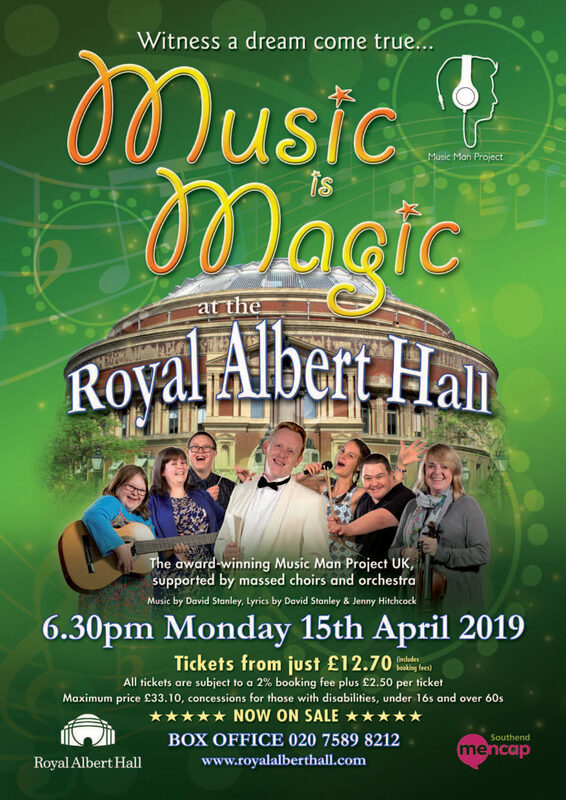 The attempt took place during their recent London Palladium performance of Concerto for Trumpet, Trombone and 1521 Triangles, composed by Music Man Project founder David Stanley. The record-breaking total was achieved by 200 learning-disabled musicians from Essex, Suffolk, Sussex and London, pupils from Kingsdown and Glenwood Special Schools and a capacity audience which included HRH Countess of Wessex. Founder David Stanley commented, “They are all world record holders! It was such a thrilling night at the Palladium and to break the world record was a fantastic achievement”. The record attempt was audited by Leigh-on-Sea Chartered Accountants Francis James & Partners LLP, who provided 50 stewards for the official count. The performance was conducted by Music Man regional directors Jenny Hitchcock and Natalie Bradford and featured Jemma Andrews on Trumpet and Leisa Jones on Trombone. The Albert Hall concert will be supported by massed choirs and orchestra.